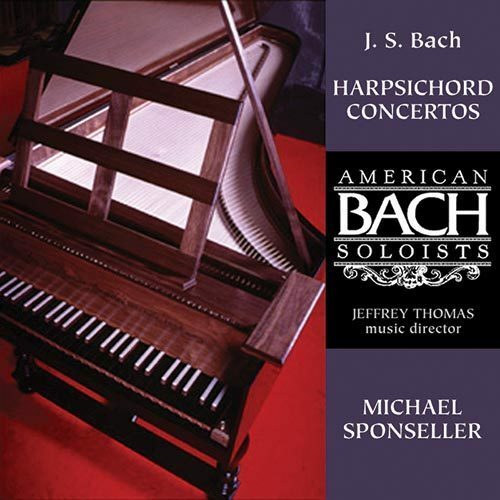 Concerto for Harpsichord, Strings, and Basso continuo in D Minor, BWV 1052; Concerto for Harpsichord, Recorders, Strings, and Basso Continuo in F Major, BWV 1057; Concerto for Harpsichord, Flute, Violin, Strings, and Basso Continuo in A Minor, BWV 1044; Concerto in D Major, BWV 972, after Antonio Vivaldi's Concerto for Violin, op. 3, no. 9. Michael Sponseller, harpsichord; Hanneke van Proosdij, recorder; Judith Linsenberg, recorder; Sandra Miller, flute; Elizabeth Blumenstock, violin; Jeffrey Thomas, conductor. Original release on American Bach Soloists (2004); rereleasd on DELOS INTERNATIONAL DE-3359 (2005).